We understand that construction work isn’t easy; that’s why we thought we would celebrate some of history’s most amazing architectural marvels, which have been keeping audiences in awe all over the world. Norway is the site of the world’s longest road tunnel, The Laerdal Tunnel, the construction of which was mandated by the government in 1992 in an effort to deisolate the Norwegian communities separated by the country’s enormous mountains and glaciers. The Laerdal Tunnel runs deep inside the mountain, and the structure is reinforced by 200,000 rock bolts and 45,000 cubic meters of shotcrete. The walls and roof are bolstered by galvanized steel bolts and additional shotcrete. Frank Gehry’s Walt Disney Concert Hall is a glimmering silver ship sailing through the stormy droves of downtown Los Angeles city foot traffic. 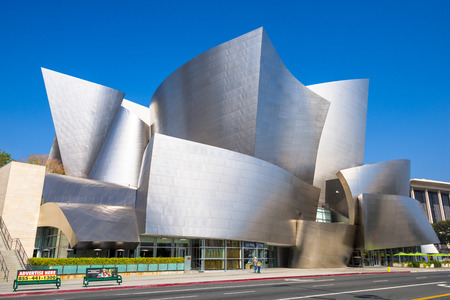 Inspired by his nautical roots, Gehry began constructing this monumental structure, which seats 2,265 members, in 1992 after a $50 million donation was made by Lillian Disney, the widow of Walt Disney. Out of an effort to democratize the classical music genre, the architect went with a streamlined but fluid design concept made of stainless steel curves, a 165,000 square feet of stainless steel metal panel system, metal studs, exterior plaster, and concrete. The tallest twin towers in the world, standing at a staggering 452 meters high, are located in Kuala Lumpur City, Malaysia. The Petronas Towers were erected in the summer of 1999 and held the record for tallest building in the world until being beaten out by Taipei in 2004. 33,000 stainless steel panels and 55,000 glass ones were used in its iconic design. Regardless of the size of the feat, Rackers Equipment Company is your arsenal of construction know-how for projects both large and small. Find out more about the services we offer today!